Ifan Glyn has been appointed as the new Director of the Federation of Master Builders (FMB) Cymru. Ifan has been with FMB Cymru for three years and was previously their Public Affairs Executive. Ifan succeeds Richard Jenkins who was with the organisation for seven years. “I am delighted to take on this new role within FMB Cymru, and would like to thank and wish my predecessor Richard Jenkins all the very best for the future. 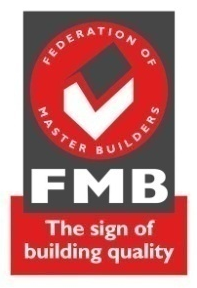 I joined the FMB when construction firms were experiencing particularly tough times, and I’ve seen how an organisation such as the FMB can provide credibility and support to enable companies to survive as well as grow.